At Anew Green, we love to bring our innovative Seed Pacs to gardens and landscapes. What you might not realize however, is that we’re passionate about doing our part to combat climate change and keep our earth beautiful. That’s a key driver behind our patented process which recovers OEM toner for printing and copying and reduces CO2 emissions by 1.4 pounds per 1000 pages. Oh and this process uses 100% renewable energy! It’s with that in mind that we thought it fitting to share some ways you Anew Green gardeners can grow “greener” gardens. And we’re not talking about the color of the plants. If you’ve chosen to grow a garden, cultivate your own food, or even pay extra special attention to your garden, you’ve probably already begun to realize the way it connects you with our planet and environment. But what if there’s more we could do. Here are five things you can easily do to “green” up your garden. In a blog post on Earth911.com, Chrystal Johnson encourages gardeners to avoid using chemicals when weeds and pests threaten their garden. Those toxic chemicals can accumulate in your soil over time rather than dissipating with each use. Organic gardening practices include things like attracting more hummingbirds and friendly insects. Companion planting is another great way to ward off pests. Johnson also suggests that there are a variety of essential oils to deter pests naturally. Treehugger.com has a great post on making your garden greener. 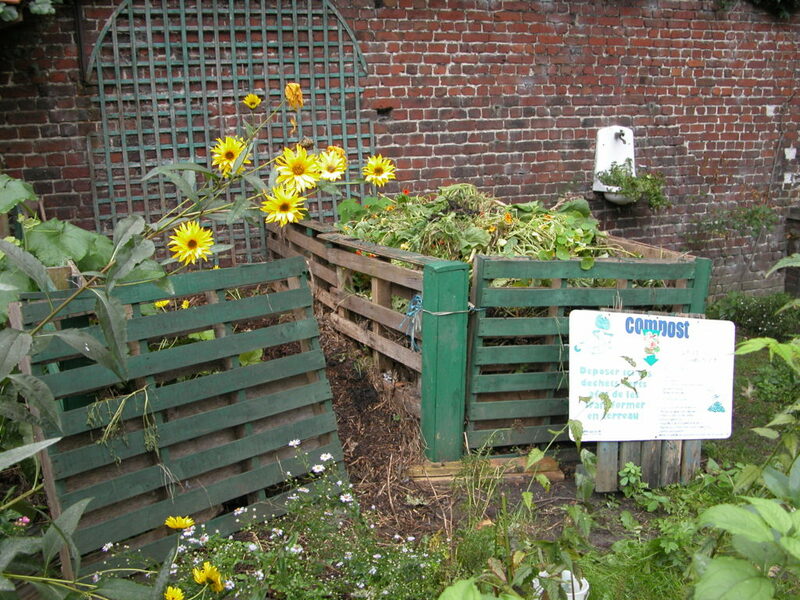 In it they suggest that composting is a fantastic technique for taking care of the planet. Try throwing your vegetable waste from the kitchen into a compost bin rather than a landfill. Once it decomposes, you are left with a perfect additive that will enrich your soil. You could always save water by xeriscaping your lawn with drought tolerant plants, but what about using some of that grassy area to grow more food? The Sierra Club suggests that an organic garden in the place of a well-fertilized lawn reduces the harmful chemicals that flow into our lakes and rivers when it rains. It also reduces the CO2 emissions from that gas-powered lawnmower. There are a variety of things you can reuse in the garden. All-Recycling-Facts.com shares a great idea where gardeners can line containers with old newspaper. The newspaper soaks up water that would otherwise flow away, reducing the amount of water needed. Practice sharing your crops with friends and coworkers and sharing knowledge by involving your kids in the process. Mother Earth News points out the importance of sharing our sustainable, eco-friendly gardening practices with others. What a great way to spread the positive impact on our planet! We’d love to hear from the Anew Green gardening community. What are some of the ways you’re making your garden greener? Leave us a comment on Facebook or Twitter.